New recruits can be a welcome addition to a war-weary army, but not all soldiers are blunt instruments to be thrown at the enemy. The finer troops take some finesse to get the most out of their skills. 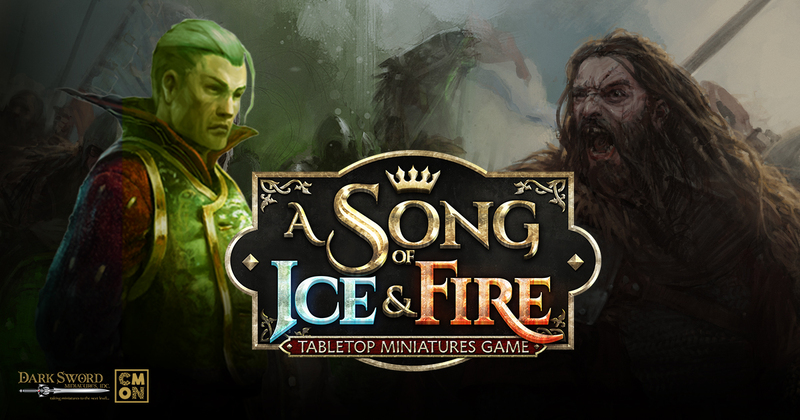 A Song of Ice and Fire: Tabletop Miniatures Game designer Michael Shinall takes a look at two recent releases for the Starks and Lannisters and shares some tips on how to use them most effectively. Umber Greataxes combine defense and fearsome weaponry to field a unit with superior flexibility. Greataxes will chase down heavier foes, stand firm against determined assaults, and deliver a devastating assault with their signature weapons. While not specialized in any particular combat doctrine, an experienced commander can deploy them as-needed, to shore up exposed weaknesses in their own defenses or exploit an enemy’s poor judgment. The House Umber Greataxe Unit Box gives Stark Commanders a versatile tool in their arsenal, as these steadfast warriors excel at destroying both lightly armored foes with their Mighty Cleave Attack, as well as piercing the heaviest of armored enemies with their Executioner’s Fury Attack. Regardless of the threat, the House Umber Greataxes can counter it! • Slow, but few foes can stand toe-to-toe once engaged with Greataxes. • Able to ignore even the heaviest enemy Defense with their Executioner’s Fury attack. • Carve through lightly armored foes with Mighty Cleave. • Greataxes excel at being an extreme threat to the enemy- use them for tactical area control on the battlefield! The Alchemists’ Guild has long guarded the secret of manufacturing Wildfire, and now brings its expertise in service to House Lannister. Wildfire is a green-tinted substance of tremendous explosive power. Fire, heat, or even a hard hit can detonate the substance, and it burns with a green flame until completely consumed. Against such an assault, armor is useless, and even hardened veterans have little defense against the panic sown by such an unanswerable attack. The Pyromancer Unit Box brings one of the highest-damaging units to the Lannister army. Utilizing their deadly Wildfire Attack, which disallows Defense Saves of any kind, the Pyromancers are able to obliterate any foe both at range and in melee! • Completely ignores enemy Defense Saves with their Wildfire attack- both at ranged and in melee! • While their damage output is unmatched, they cannot last in prolonged fights- Defeat your enemy quickly! • Make use of Attachments! The Assault Veteran increases their offense even more, while a Guard Captain can mean the difference between Pyromancers surviving a combat. • Don’t be afraid to charge! While Pyromancers are deadly at range, they are just as deadly in melee as well!